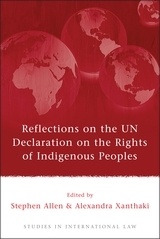 The question of what rights might be afforded to indigenous peoples has preoccupied the municipal legal systems of Settler states since the earliest colonial encounters. 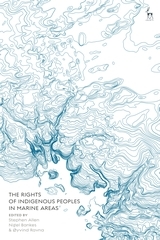 Sustained initiatives by international institutions have seen national legal regimes and the international legal order accept that they possess an extensive array of legal rights. 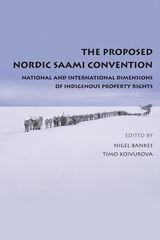 However, despite this, claims advanced by indigenous peoples relating to rights to marine spaces have been met with marked lack of receptiveness. This book offers the first sustained study of these rights and their reception. Taking a three part approach, it looks firstly at the international aspects of indigenous entitlement in marine spaces. It then goes on to explore specific country examples, before looking at some cross cutting themes of crucial importance to the question. Drawing on the expertise of leading scholars, this is a rigorous and long overdue exploration of a significant lacuna in indigenous peoples' rights. 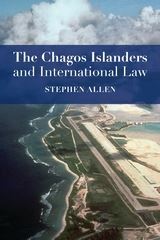 Stephen Allen is a Senior Lecturer in Law and a Co-Director of the Centre for European and International Legal Affairs at Queen Mary, University of London. Nigel Bankes is a Professor of Law at the University of Calgary, Alberta, Canada where he holds the chair in natural resources law. Øyvind Ravna is Professor of Law at the University of Tromsø.